Huobi, one of the most important crypto exchanges in the world has had an excellent performance, overcoming the bearish pattern of the cryptomarket during 2018. In a press release shared with Cointelegrah on February 7, 2019, the crypto Exchange reported a 100% growth in its trading volume during the last year. The Singapore registered company has seen several of its business strategies have a positive impact on its growth and influence within the community. Despite previous reports in which the company had announced a significant reduction in its workforce as a measure to maintain profitability in the midst of the 2018 crisis, the Cointelegraph team points out that from that time to date Huobi tripled the number of employees, going from 400 to more than 1300 active workers by 2019. The company has offices in 12 countries around the world. It currently has two parallel platforms, which operate in this way for regulatory reasons. The first one, Huobi Global, is located in the Top 20 of coinmarketcap and serves clients all over the world. The second, Huobi US, is licensed and operated by Holdco Inc and serves U.S. residents. In addition to a growth in its crypto trading services, the company is also proud to have one of the largest OTC Trading desks in the world. 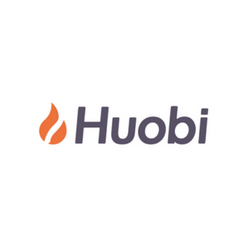 Its recently launched service Huobi Cloud has brought the company significant profits with more than 100 corporate partnerships across the globe in the last semester. It is also important to note that the company recently launched a crypto/fiat trading service. On February 5th, 2019; the company announced that now its users could buy Bitcoin, Ethereum and USDT with American Dollars (fiat). The announcement included a promotion in which the first 500 new users who opened a USD wallet would receive a gift of 20 USDT just for trying Huobi’s services. The promotion is exclusive to Level 2+ Verified US residents who have completed all steps related to identity verification and AML policies of the company. According to data from Coinmarketcap, Huobi global has an adjusted trading volume of more than 218 million dollars in the last 24 hours. Last month’s trading volume exceeded $8875 million. By the time of publication of this article, the Exchange experienced a growth of 12.67% in the last 24 hours.